Take heart in the knowledge that you likely understand as much about the origins of the Beat Movement as the average Joe walking past you on the street. Though its influence has saturated most of our modern luxuries, the founding figures of a generation of trendy literary provocateurs have all but been obscured in the crowded halls of artistic rebellion. Even their names now seem to exist as lost relics. Jack Kerouac. Allen Ginsberg. William S. Burroughs. These were identities to be reckoned with in the days of cultural order, when society was in the captivity of conformists, and the arts imprisoned by the frills of old traditions. To them, the true poets – and, inevitably, all artists – were the rebellious creatures in the street, disturbing the ranks by finding inspiration through drugs, speaking in hip euphemisms, and exhibiting apathy to rules and political matters in a world that alienated their basic principles. And yet as infrequent as those names are mentioned in the reverb of modern artistic freedom, do not doubt that their strategies linger on; if that were not the case, what would a “Beatnik” be today if not a voice for the creative and outspoken? I suspect that the director behind “Kill Your Darlings,” newcomer John Krokidas, strategically set out to echo those sentiments. Shot in an eccentric style with the slickness of an urgent music video, this is not a period movie framed in the context of its era, but an endeavor fully shaped under the crude spit and polish of its forward-thinking auteurs, all of whom seem displaced by their indifference and caught on the wire separating standard from abstraction. But just as these famous subjects advocated the “immediacy of experience,” those involved in the film have clearly translated that advice to a form of momentary gratification that is as shallow as it is uninformed. Oddly disconnected and ambitiously uncertain of itself, this is the kind of movie that seeks to enlighten and then expand on more subjects than it is capable of understanding, ultimately resulting in some level of sophisticated chaos. Perhaps that lack of structure works for the poets; it does not, however, work for principled movie screenplays. The title carries two intentional distinctions: the first, an old cliché in collegiate studies that suggests we as writers are imprisoned by the comforts of metaphors and literary devices, underscores the inevitable influence of the characters; the second, meanwhile, is more literal a connotation, reflecting on the grim events that eventually cast a shadow over these young faces. Based loosely on an “unwitnessed” account of what preceded the Beat Generation’s days of scholarly revolution, the movie opens in 1943, when a young Allen Ginsberg is accepted as a freshman into Columbia University. He is played here by Daniel Radcliffe, in a performance that casts away his shackles of association with Harry Potter; socially awkward and vulnerable to peer influence, his is a mind of counter-culture trapped in a cage of academic tradition, where he challenges professors and sees curriculum as a structure aching for destruction. That quality instantly attracts the attention of others: Lucien Carr (Dane DeHann), a young rebellious sophomore, Jack Kerouac (Jack Huston), a lively but colorful sort with thick witticisms punctuating his speech, and William Burroughs (Ben Foster), a stoic voice whose dignified but displaced approach to all things underbelly suggests a brooding imagination. They laugh, do hard drugs, speak without regard to purpose, and plot intellectual uprisings. And there is also no small irony in the fact that their lives are surrounded by jazz music, which with its improvised nature was more than just a classic reality of the early Beat Generation. The movie alludes to fatalistic origins for these bright minds. Most of the distinguishable qualities are shared vigorously amongst this intelligent gathering of rebellious intellectuals, but the screenplay finds itself arriving closer to a nightmarish truth through the Lucien persona, whose zealous oratorical delivery and mischievous sidelong glances give him an almost authoritative advantage over the others. Such skill clouds the perceptions of others, particularly Ginsberg, who submits to his illusionary charms without much forethought because, well, feelings are often more powerful than thoughts, even for young talents with hidden gifts. Unfortunately, it also spells caution: David Kammerer (Michael C. Hall), a popular poet on campus with a seasoned working/romantic relationship with Lucien, has seemingly been weathered so extensively by that undeniable charisma that it blurs his loyalty and makes him almost predatory. Their frequent encounters on camera are key in establishing all the necessary foreshadowing, and the movie’s early images, which reveal the inevitable aftermath, are transient reminders that many great artists in the world are often created by the suffering they wreak on others and themselves. A lot of this is merely personal projection, however, because “Kill Your Darlings” aims to only gloss over insights and the people involved in them. The movie has all style and presence, but none of the depth or reasoning. 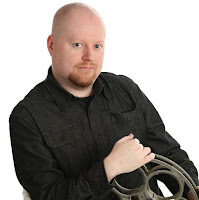 That may, in part, come down to the contemporary tone Krokidas takes from behind the camera; because he is eager to cage his subjects in an environment of manic editing and narrow spaces, there is no sense of perspective reaching from beyond the dialogue. In some cases, this even results in scenes where the intentions do not match the endeavor, such as in a three-tiered sequence where Ginsberg engages in a homosexual act, Burroughs drowns himself in substances out of a syringe, and Carr resorts to a violent act to end the obsessive nature of his unwavering pursuer. The common bond in all of these scenes is that each character resorts to some penetrative act to escape or end a painful realization, but the effect is lost in a haze of awkward execution and mood. There is little doubt that Krokidas is eager to find meaning in a menagerie of symbolism in moments like this, but does he know how to marry those metaphors with a consistent or identifiable tone? On the other hand, he does find some very effective performances for the material. 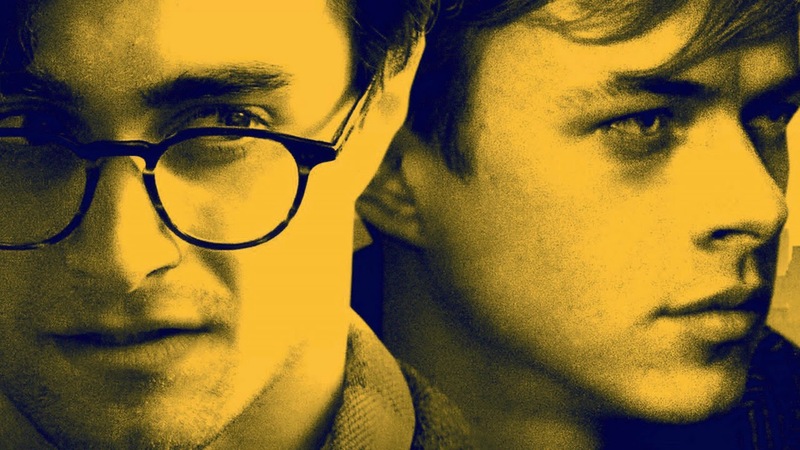 Radcliffe makes a very convincing young Ginsberg, thoroughly uncertain and driven by youthful passions, and Dane DeHann, an evolving screen talent with a penchant for eccentric behavior, is pitch perfect as the persuasive but almost menacing Lucien Carr. The biggest of these revelations, however, is Ben Foster; as the intellectually intoxicating (but verbally gentle) Burroughs, Foster reaches far beyond the notion of on-target personification and owns the performance as if it were an extension of his own psyche. Watching him and his equally gifted peers, we catch astounding glimpses into careers of immense possibility, and applaud the chutzpah each brings to the table of such a thoughtful topic. But they all deserve a better movie – one with focus, shape, and a general sense that these are more than just figures of some abridged scholarly lesson. Lively and driven personalities are indeed what made the Beat Generation what it was, and what it continues to be. “Kill Your Darlings” seems content, however, to find superficial imitations of them.